Your items are made, photos are taken and you’re ready to list your wares on Etsy. Now comes the challenge of pricing your goods. The pressure to stay competitive and the desire for your first sale will likely play a part in your initial pricing strategy. However, in order to get what you truly deserve for your items, you’ll need to take more factors into consideration. If you have a necklace and matching set of earrings, list them as a set in addition to listing each separately (assuming that you have two sets to list). Bundle a few like items together and give a small discount for the set. Sets often make great gifts. A well thought-out and advertised sale can really increase business in some cases. In other cases, a sale can lose you money. If a shop is always having a sale, it’s no longer a deal. Consumers are savvy – they can spot a good deal when they see one. If you have a sale in an effort to get rid of seasonal inventory, or in time for a holiday, that might bring in traffic. 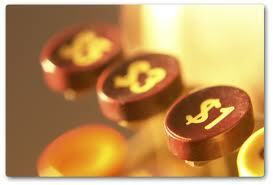 Beware of slashing your prices too much and too often, customers will come to expect the deep discounts from you. If you have fine tuned your craft, improved a technique, or learned more about your craft or business, give yourself a raise. Let that be reflected in your prices. If your quality goes up, it is quite all right to charge for it. Be a good boss to yourself. If you are finding that you cannot keep up with demand, it may be time to raise your prices. You’ll sell less but earn the same or more. Consider raising your prices if you are making few sales. It seems counter-intuitive, but often times consumers will think an item is of lesser quality if it’s under-priced.